Recording is split into two parts – 1st round in spring, 2nd round in autumn. We are done with 1st one and has finished 9 songs where Fallon was not required to sing, as she is only partially available due to maternity. Next songs are due in autumn, and then the Fellowship will decide what to do with the outcome records – either to release 3rd CD, or, let them be published here. Either way, by next Tolkiencon, the cycle should be recorded and released in one form or the other. Till we are done with it, we may release a teaser record, so stay tuned. From first round, finished songs are: Tarn Aeluin, Interrogation by Sauron, Felagund's Battle with Sauron, Finrod's Death, Valacirca, Thuringwethil, I am flying, Hunt for the Wolf and Lament of Lúthien. There are some changes in who sings what: Beren is sung in the studio records by Bóža instead of Nerion, and in "Hunt for the Wolf", the part of Carcharoth part is sang by Lokýt, instead of Lemming. Lokýt kindly agreed to provide his uncomparable voice, but you will hear Lemming as Carcharoth later – in his song „Carcharoth“. No other changes – as Finrod and Huan you will hear Bardě, Sauron and Lúthien (in "Lament") sung by Elsa, Thorondor sung by Daniela, story-teller role in "Hunt for the Wolf" by Jana. Chorus parts are sang by all above plus Bětka, Nerion and Fallon, who joined this session momentarily. despite her maternity matters. Wonderful guitar arranges were invented by Bardě and he has recorded them all, too. You will also hear melancholic violloncello of Bětka, agile flutes by Jixi, Lemming's cajón that gets better and better, and indeed some keyboard. But above all, you will hear and feel a joy and energy embedded in this workpiece. Collaboration on this session has in the end resulted to a creation of a new formal musical grouping named Poetic Musical Fellowship. As the name suggests, it is straight reincarnation of a former Poetic Fellowship, whose musical heritage PMF maintains and develops. However, contrary to PF, PFM is more focused on music (less theatre, more music). Hopes are that time will bring us more of PF songs reborn, as well as some new pieces. You could listen to new recordings either from above links, from main page or tune Radio Middle-Earth and wait for them to come in playlist. This spring, packed with recording sessions, has brought to us first songs. We have just finished mastering of the songs from The Flight of the Noldor cycle by Alex Lewis. 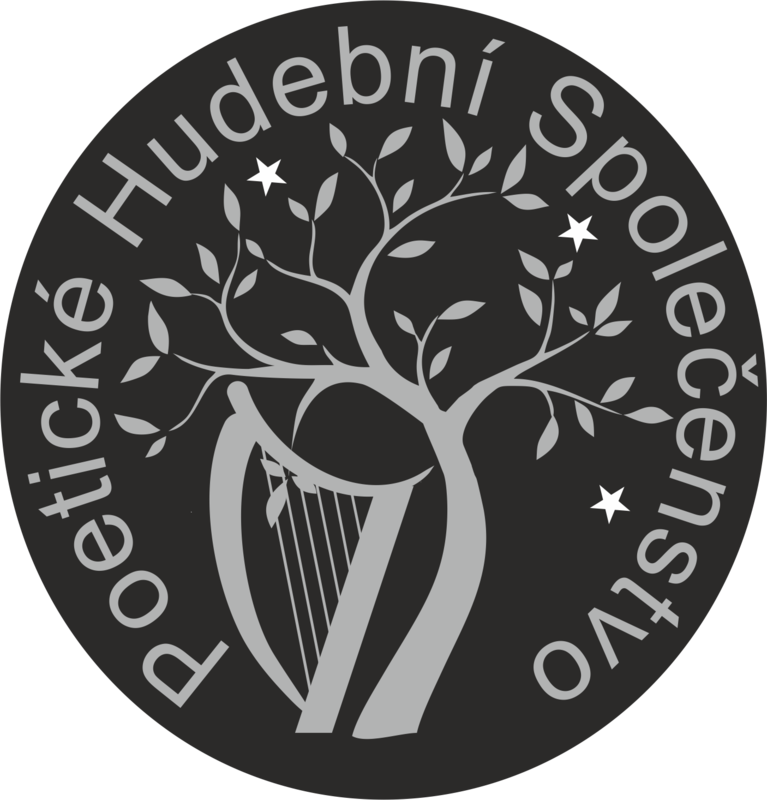 The songs, for which we have secured author’s permission, are uploaded together with Czech translations thanks to Daniela Binderová. 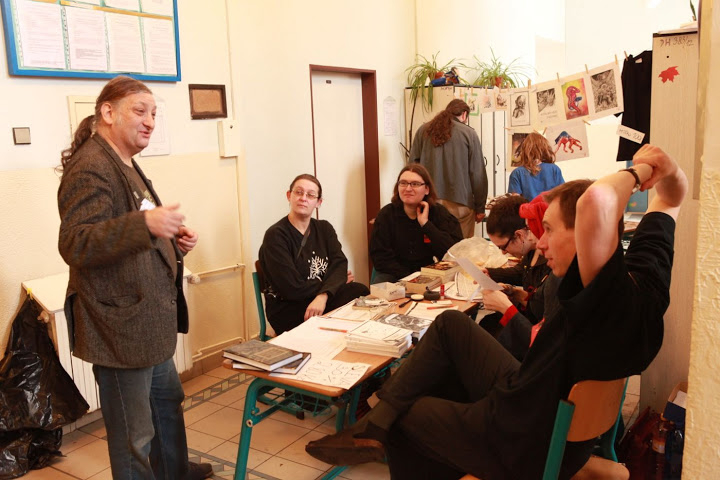 Those who met smiling and kind Alex Lewis at TolkienCon 2013 might have anticipated that his visit and friendship with those around Falešné Společenstvo /False Fellowship/ will come to its fruition by continuous collaboration. And we are glad it did really happen. You can listen to the songs from home page, as they are listed among new songs, or, go to The Flight of The Noldor profile, where everything is together – songs as well as participants.